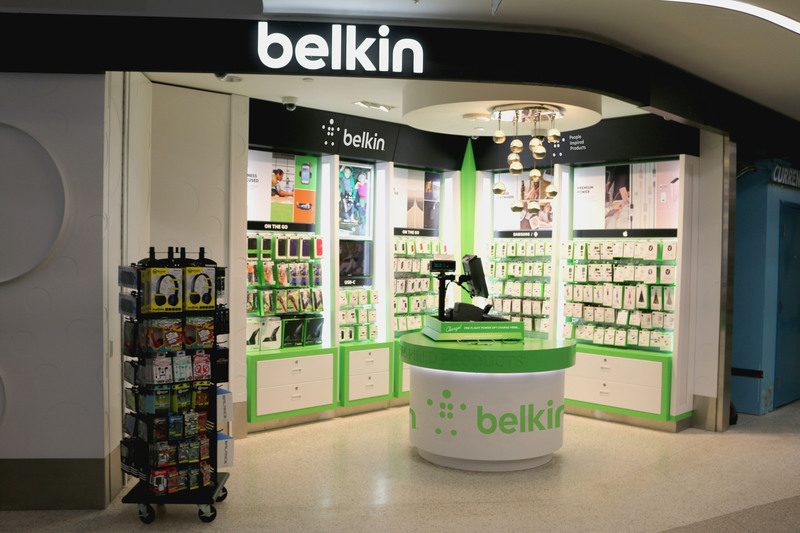 Playa Vista, Calif. – June 29, 2016 – Belkin® and Hudson Group today announced Belkin’s first foray into a brick and mortar retail space in the highly trafficked and newly renovated Terminal 6 at Los Angeles International Airport (LAX). The store will feature a charging station and the Belkin line of must-have tablet and smartphone accessories like chargers and cables, screen protectors and more, to ensure that no one has to board a flight without a fully charged and protected device. Belkin makes people-inspired products that harness the power of technology to connect people and the experiences they love. The Belkin award-winning product lines include Valet™ Charge Dock for Apple Watch + iPhone, QODE™ keyboards, and a broad range of cable and power products. The Company’s product offerings are designed to create a personal, efficient and enjoyable experience for people to use technology, whether they are at home, school, work or on the go. A privately held company founded in 1983, Belkin has more than 1,500 employees in more than 30 countries around the world.